I posted this on Twitter a while back, but I figured I'd put it here for posterity, and people who don't stalk my tweets and such. Just because I'm proud of it. 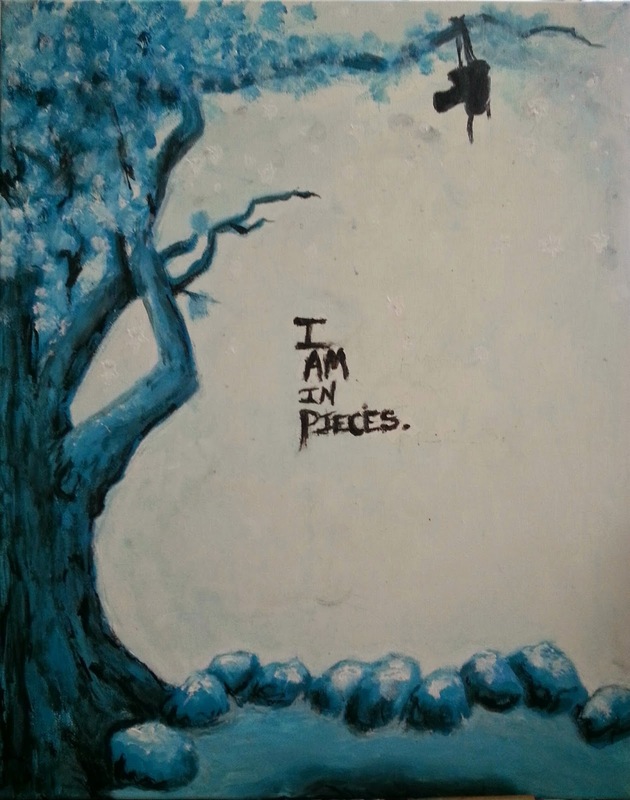 After reading All the Bright Places, which crushed me, I couldn't really read anything else or sleep, so I decided to paint, and this is what happened. Enjoy. This is beautiful and goes so well with the book! Thanks! You must read the book. It's much more beautiful than I can paint.